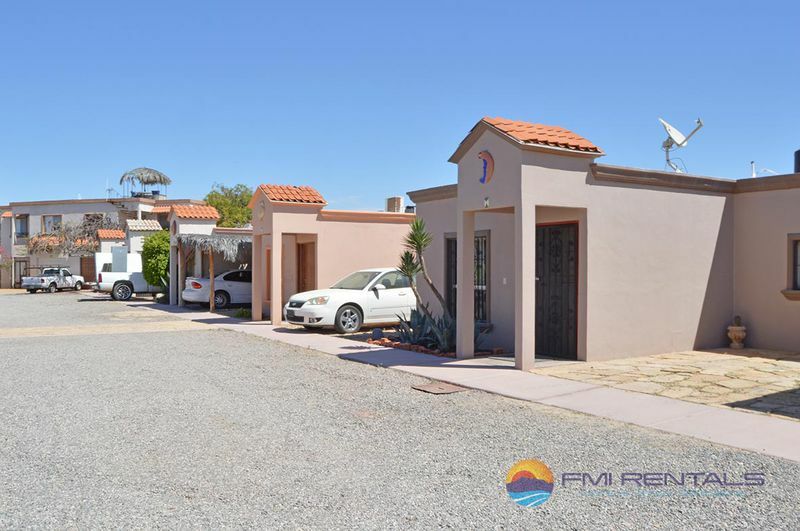 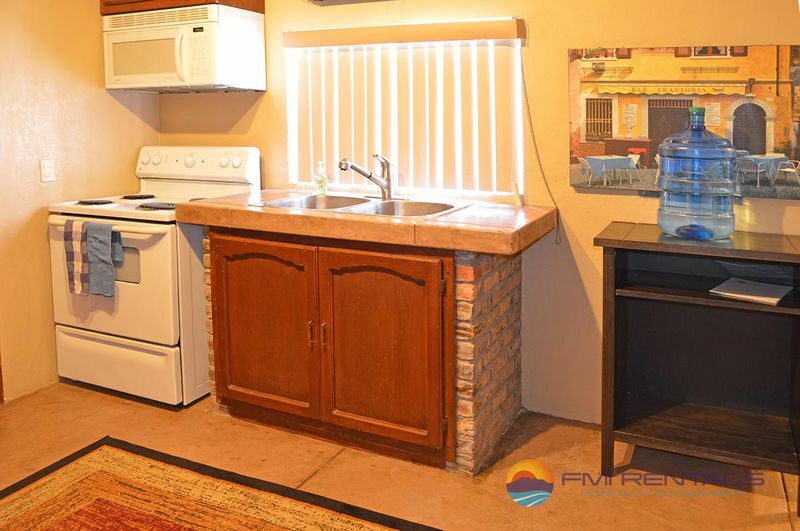 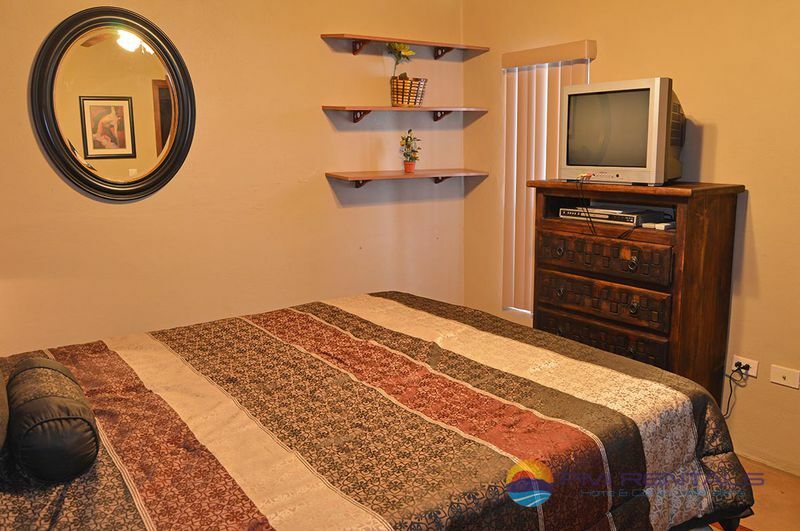 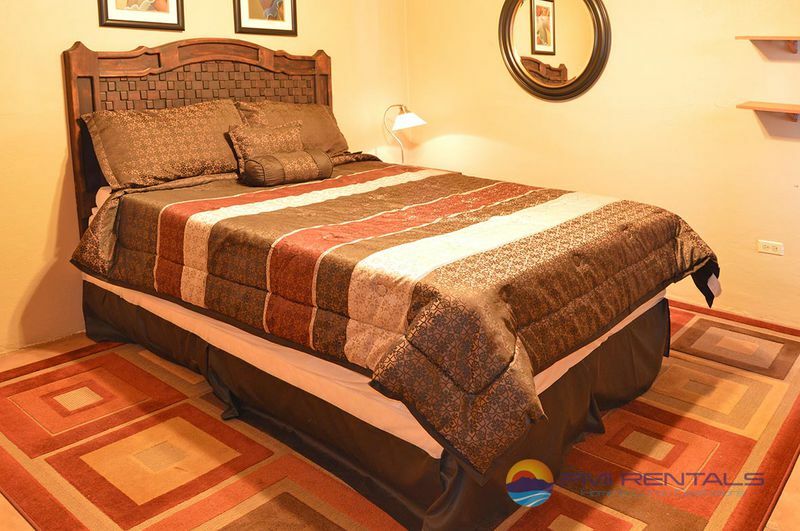 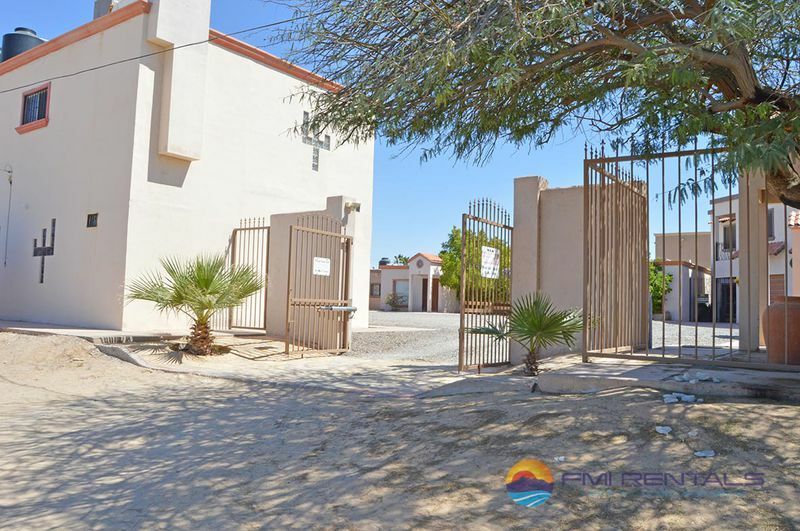 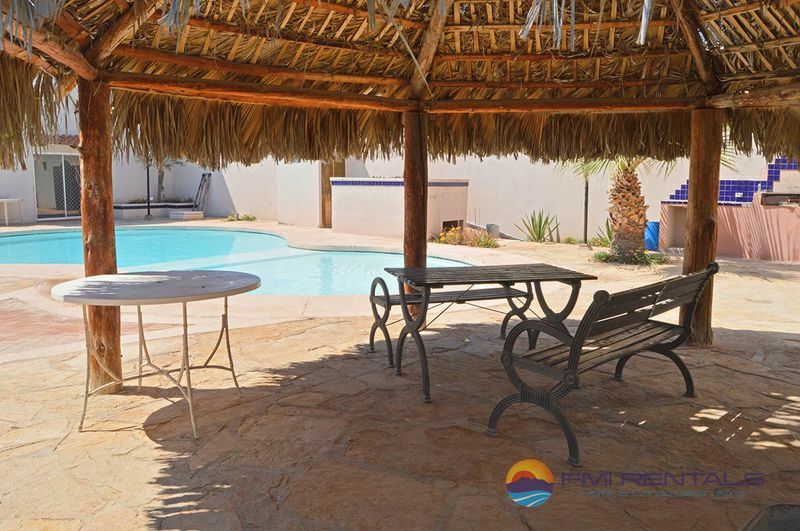 When making the decision to stay in one of our Rocky Point vacation homes, there are a few things you will have to consider first. 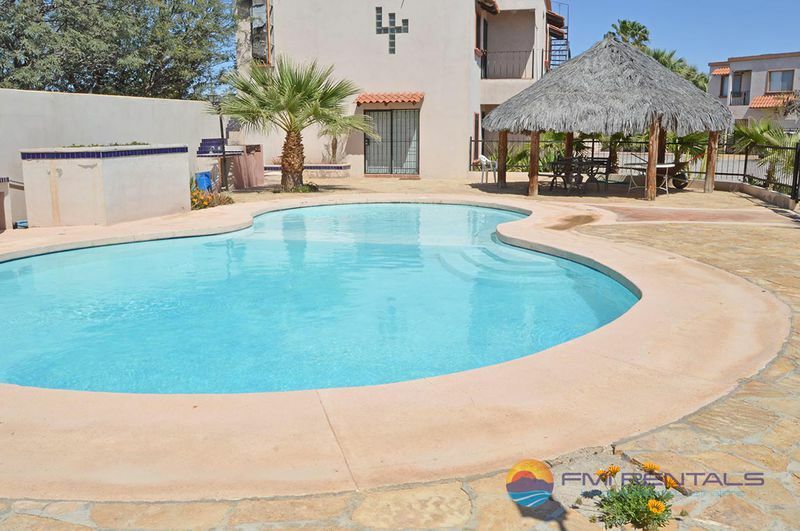 Be prepared for a slower pace of life; long days spent lounging poolside with frosty tropical beverages in hand. 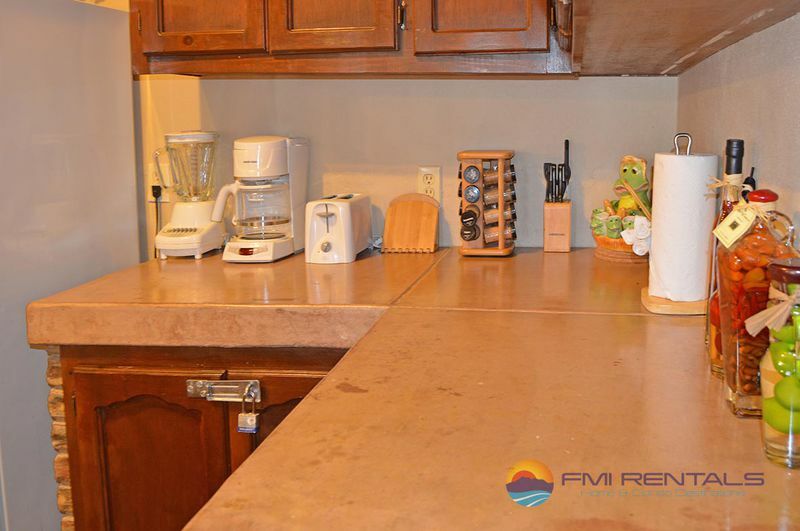 Most stores open sharply at 9-ish - the rules of time are different south of the border! 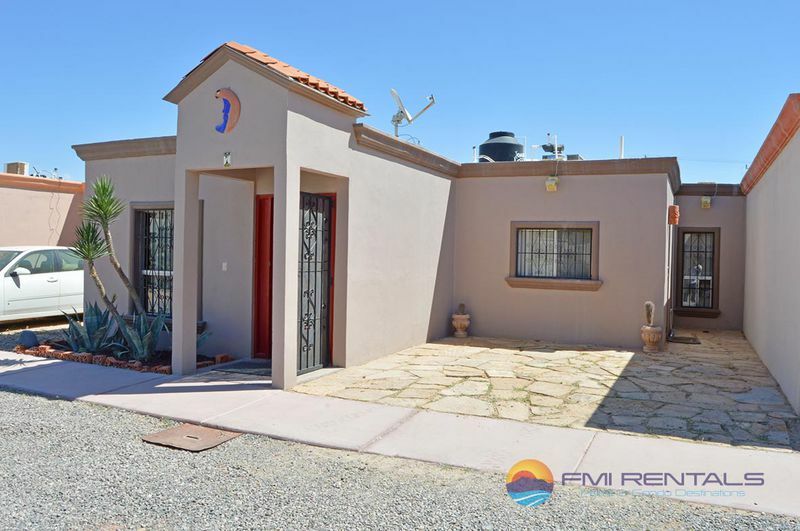 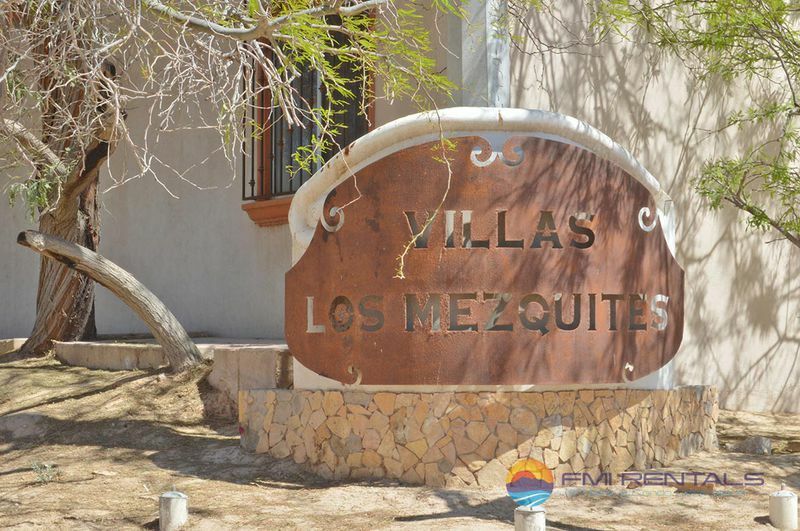 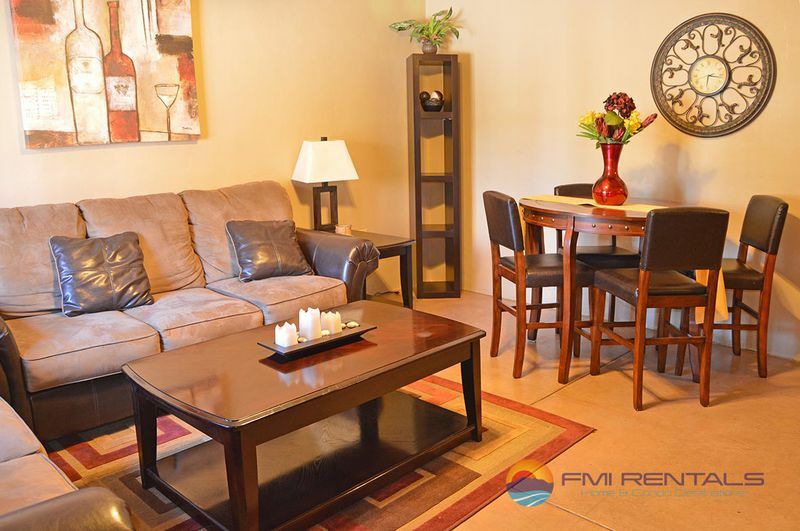 And last, but definitely not least, an FMI Rentals home is the ONLY way to go, and our Los Mezquites 2 bedroom, 2 bath model is no exception! 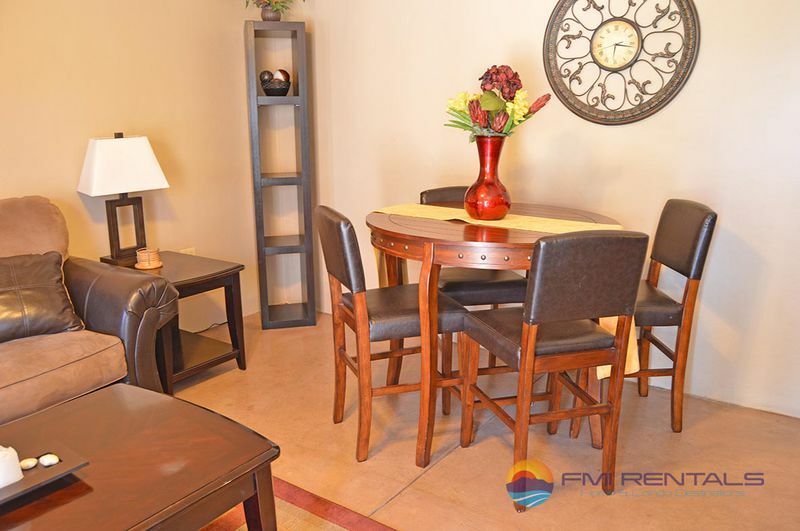 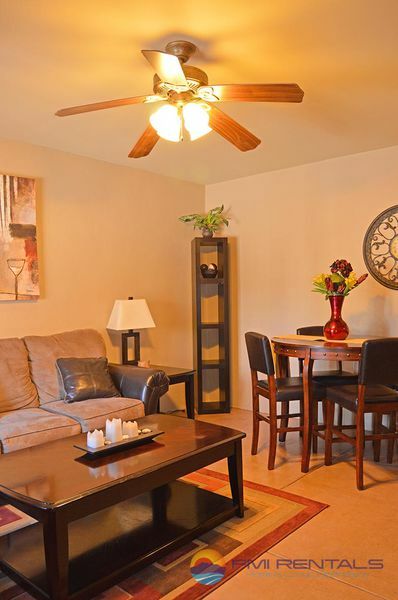 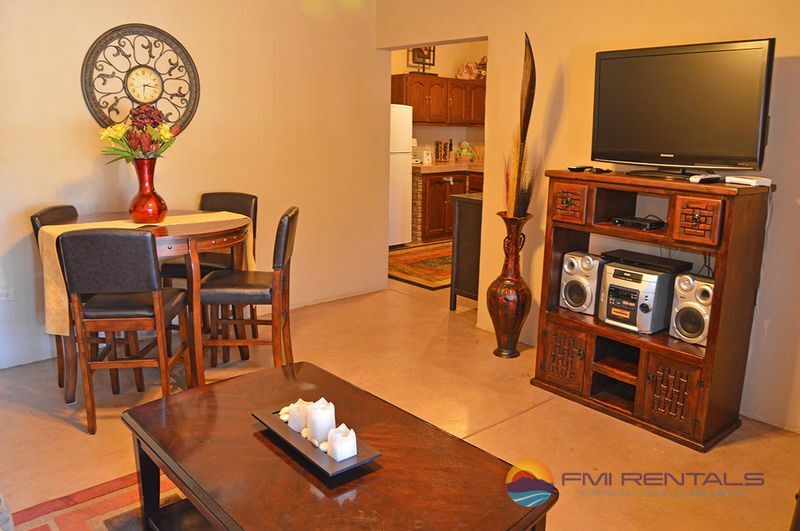 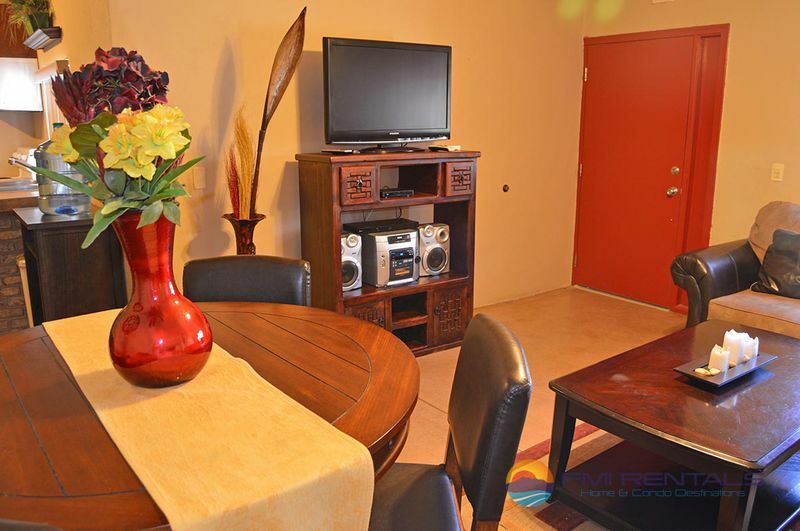 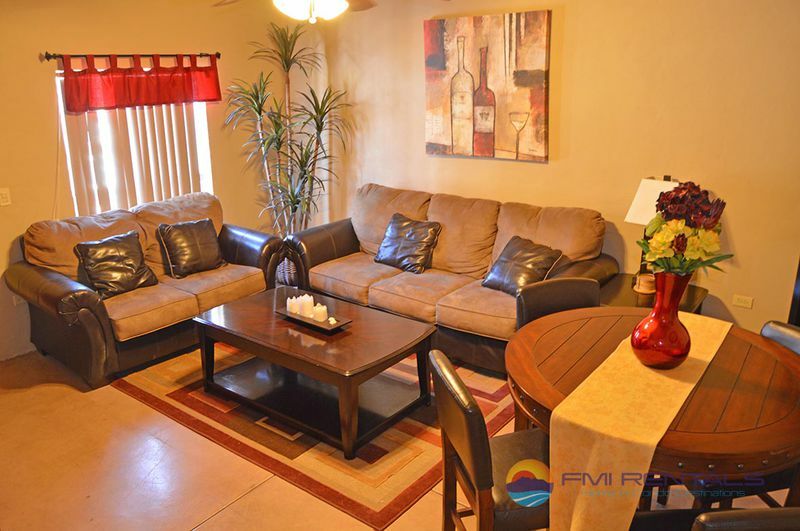 Warm and elegant, your first impression of this charming condo will be a great one. 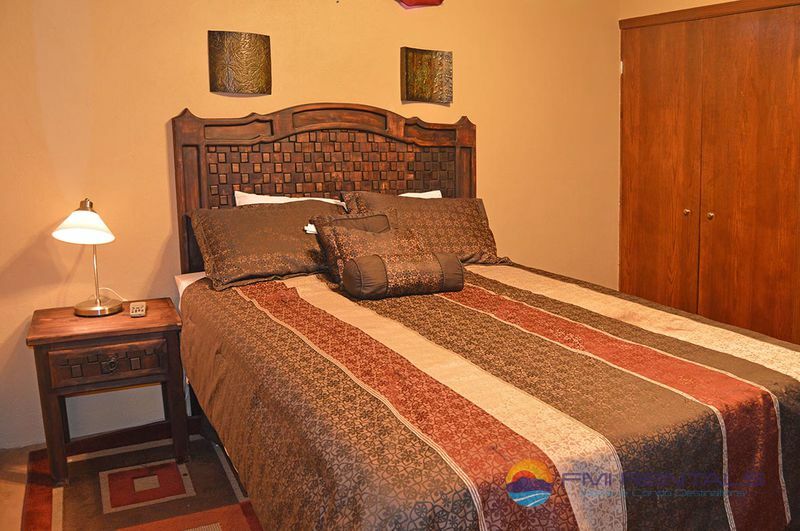 The walls are painted the color of the sand that frames the Sea of Cortez and contrast nicely with the warm pops of color you will find throughout the home. 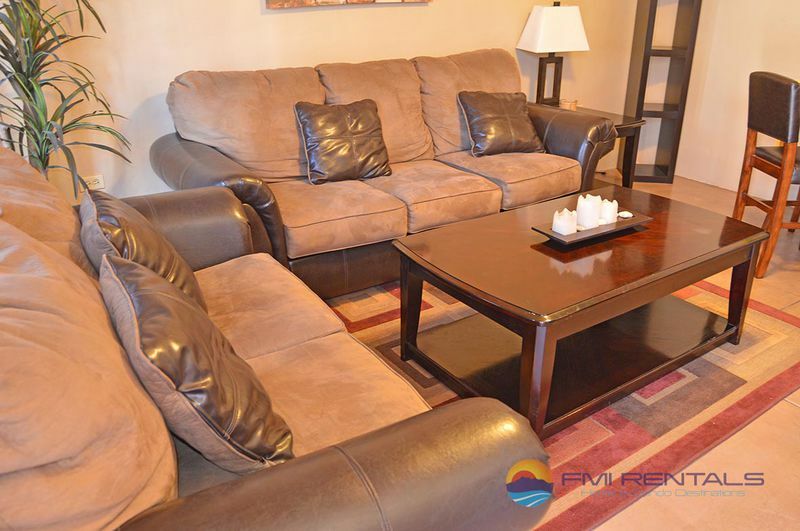 The living and dining room are combined, filled with new furniture - a plush couch and loveseat covered in leather and suede, and dark wood furniture that is both elegant and sturdy. 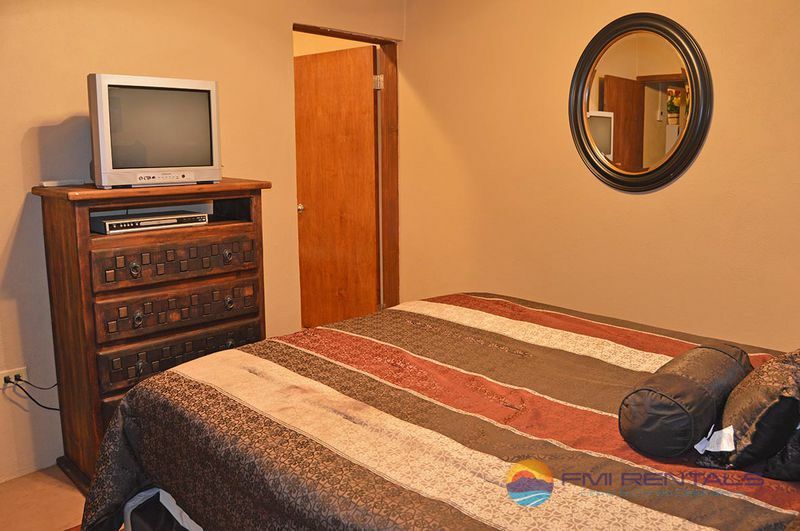 The large flat screen television comes with Direct TV, so if you’re worried about that sort of thing, you won’t have to miss your favorite shows. 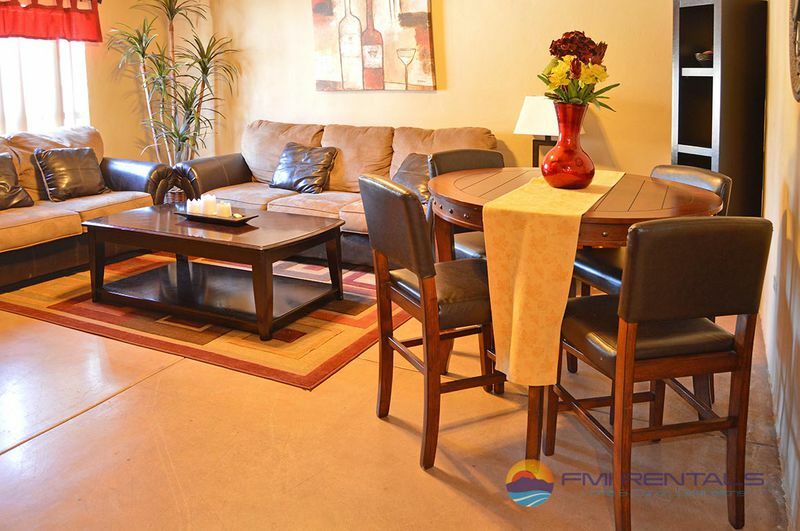 The dining room table seats 4 and is nestled in the corner conveniently next to the entrance to the fully equipped kitchen. 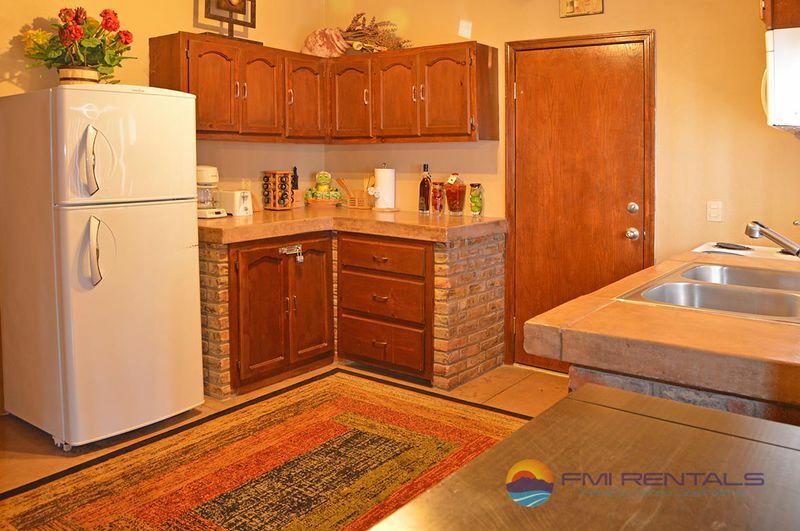 The kitchen, however, may just be the star of this show, with its warm wooden lower cabinets encased in weathered brick and topped by thick concrete countertops that match the polished concrete floors below. 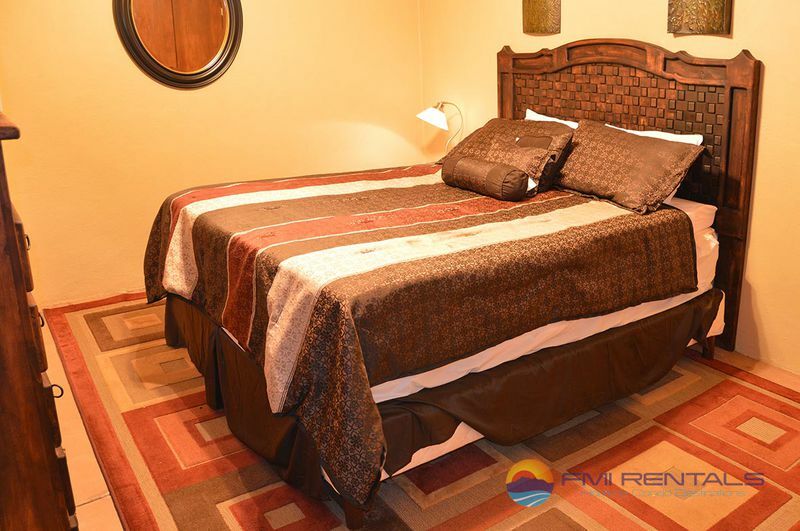 A colorful rug cushions your feet, protecting you from back aches, and brings warmth to a room that could appear harsh and sharp edged without it. 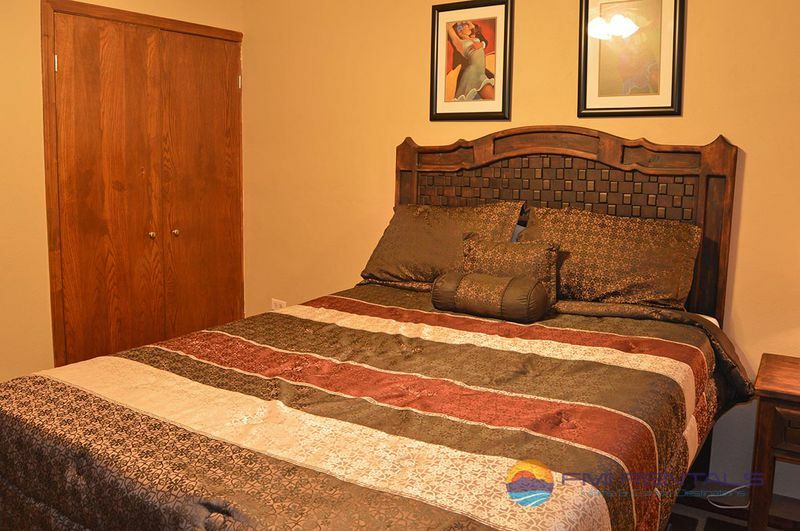 Both bedrooms come with queen beds topped with colorful high thread count linens, and the master has a unique carved wood headboard that brings to mind days long past. 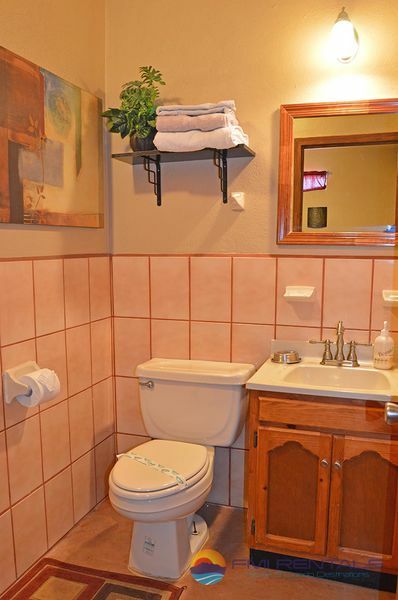 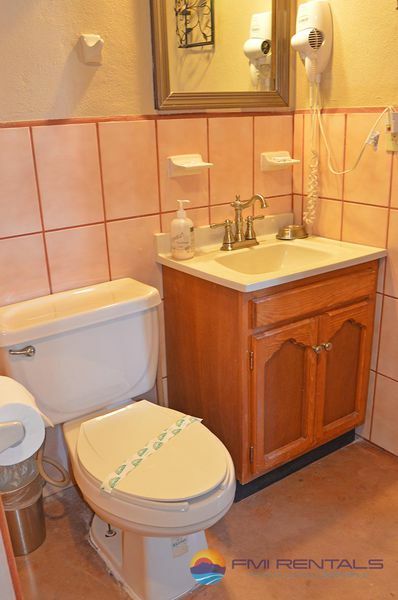 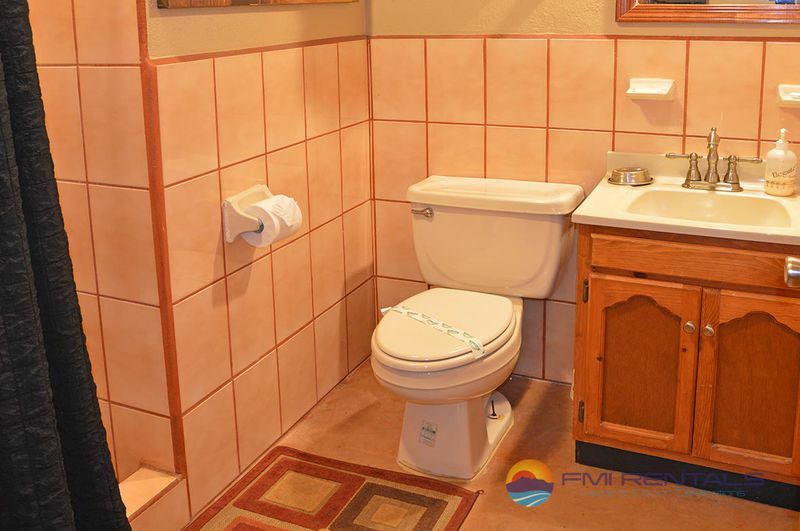 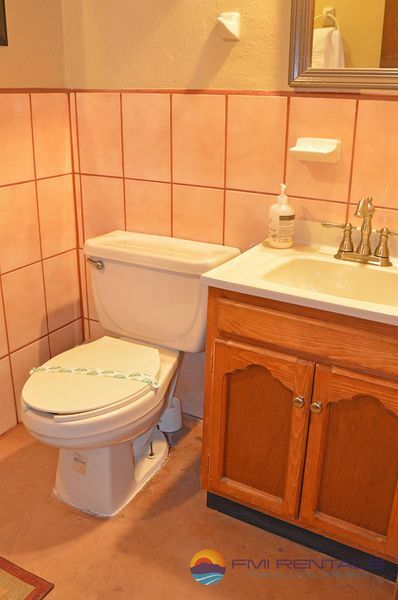 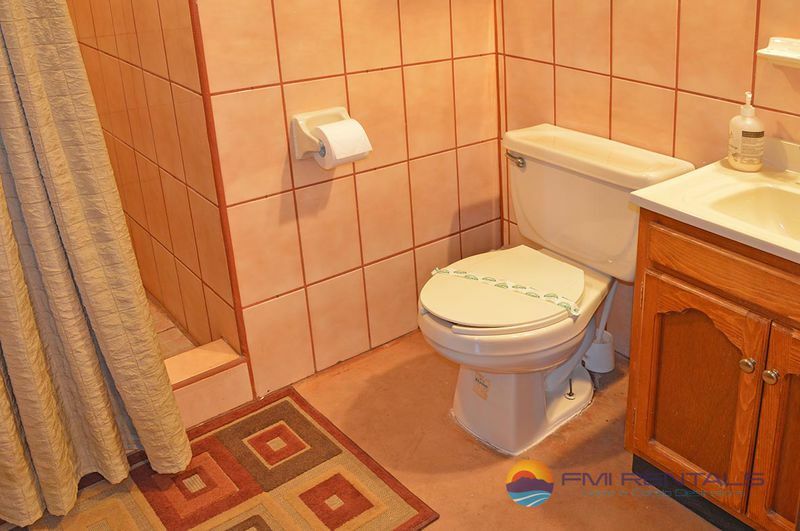 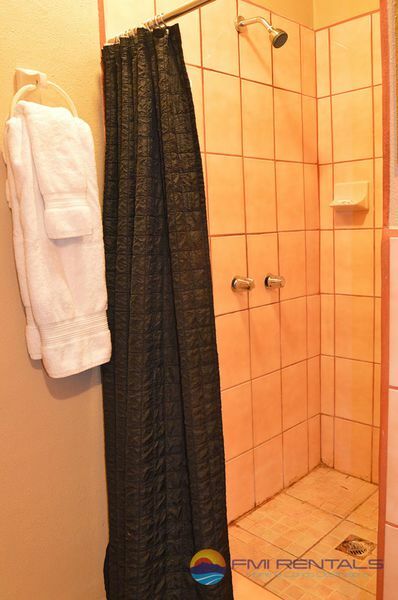 The bathrooms are spacious and bright, with walk in showers and tiled wainscoting adding a touch of spa like elegance to the space, once again combining form and function for the convenience of our tenants in this, one of our most special Rocky Point rental homes.